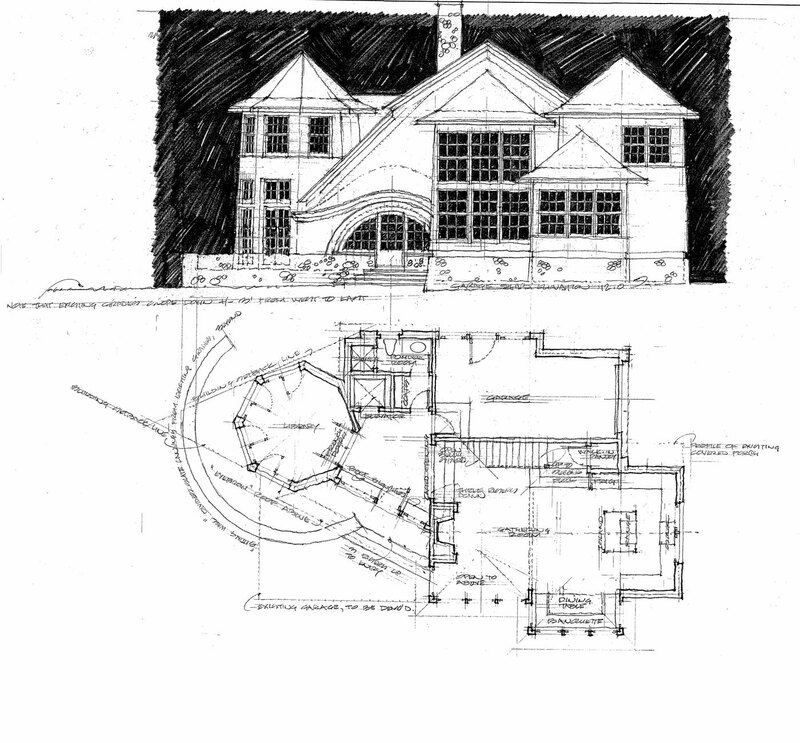 Schematic review sketch for Old Greenwich design (see “projects”): this drawing was produced for client review prior to technical drawings, or construction. 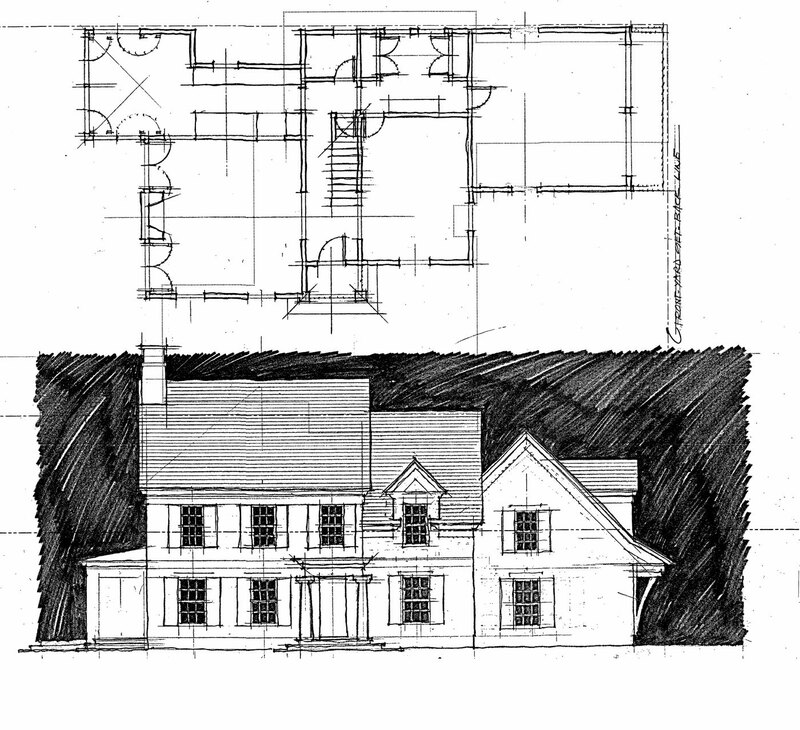 Design drawings for project on a difficult (triangular) lot in Rowayton: see also “models” section. 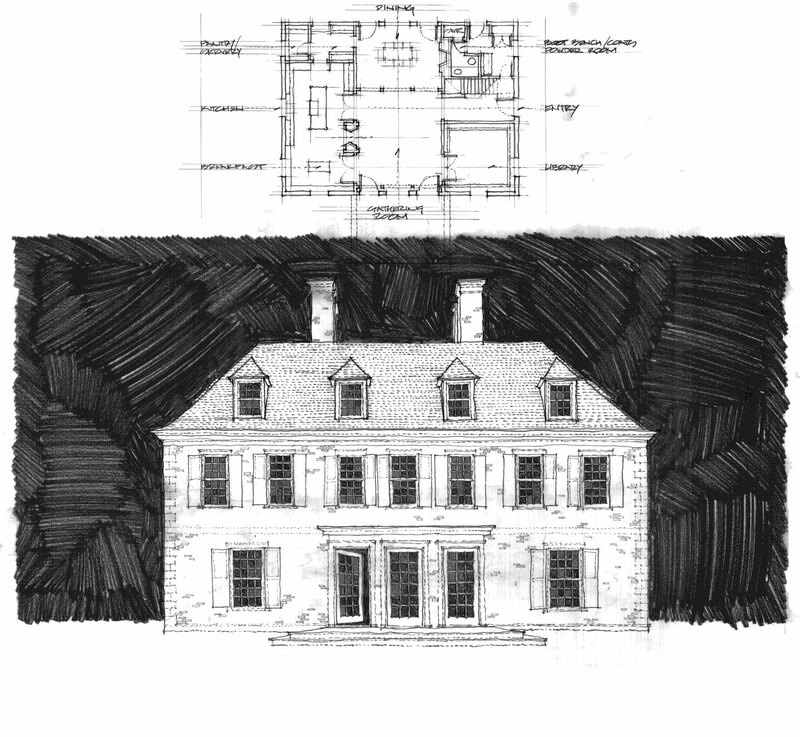 Proposal sketch for an English country house in South Salem, New York. 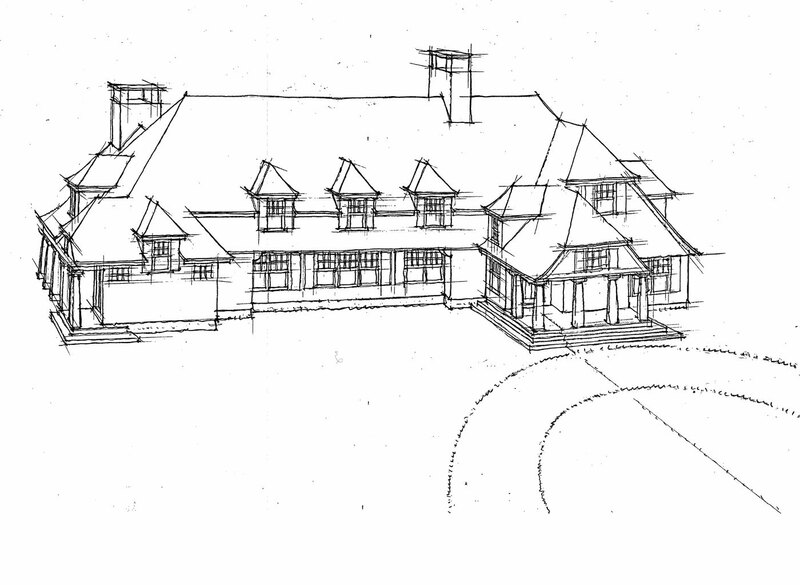 Original proposal sketch for Shippan Point home in Stamford: see “projects” section. 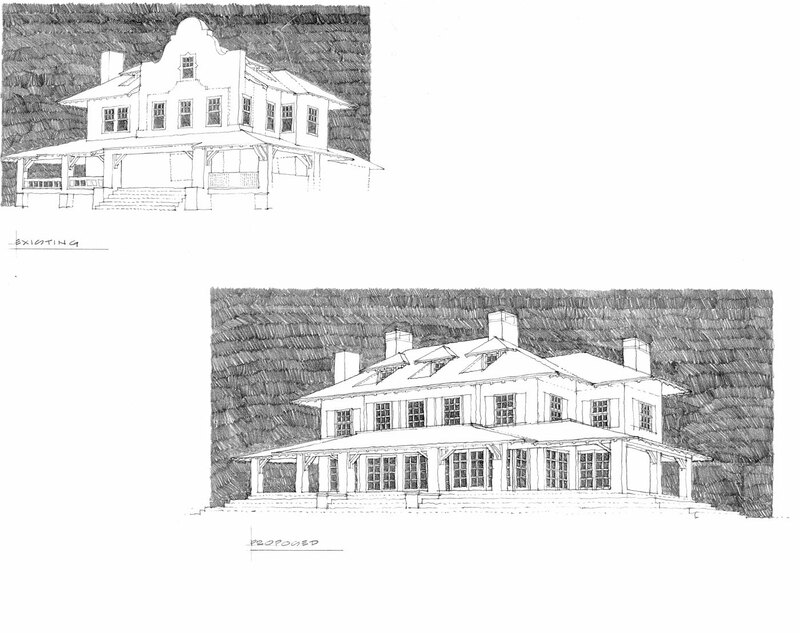 Note before-and-after images. 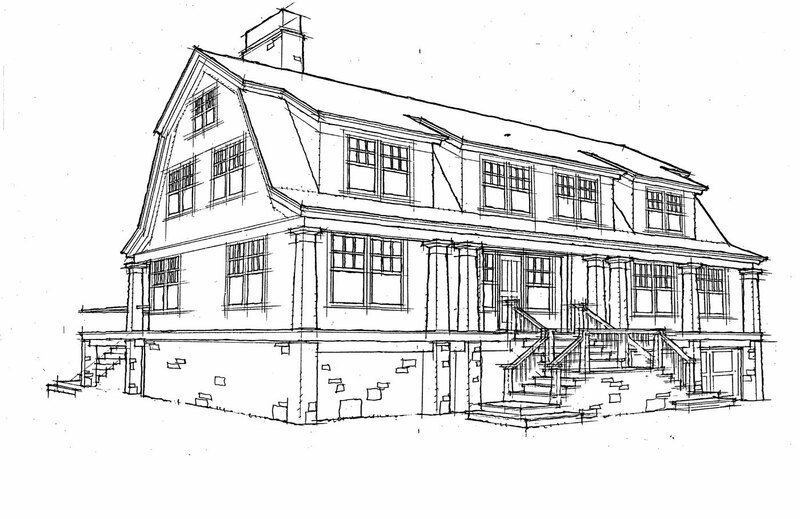 Schematic design sketch for waterfront project in Old Greenwich, nearing completion: current FEMA reg’s mandated an elevated first floor. 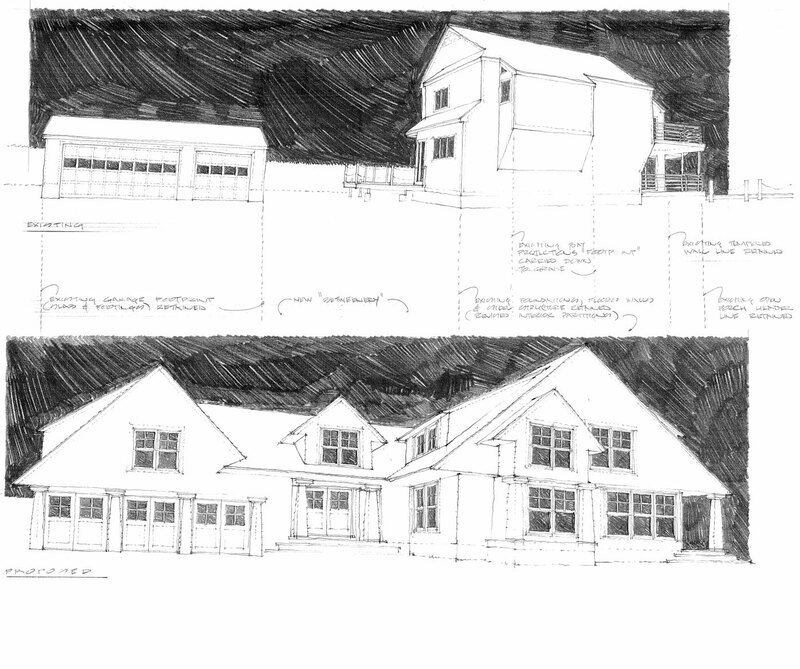 Proposal sketch for a property on Sasco Hill Rd., Southport. 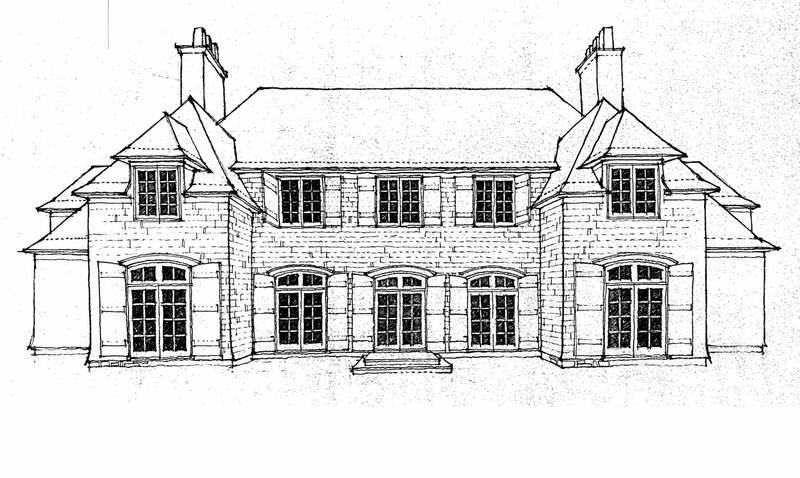 Schematic illustration of a project in Scarsdale, New York. 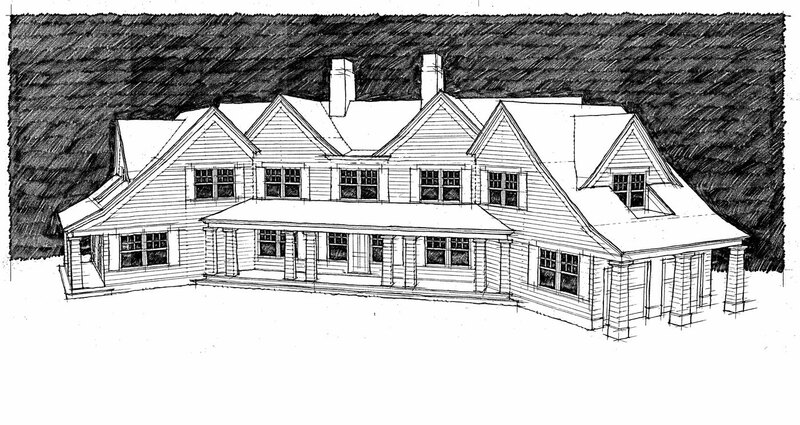 Proposal sketch for a new home on Greenfield Hill, Fairfield. 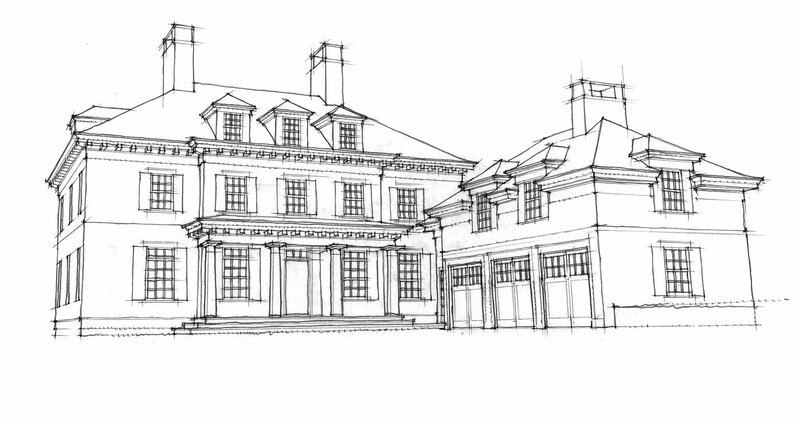 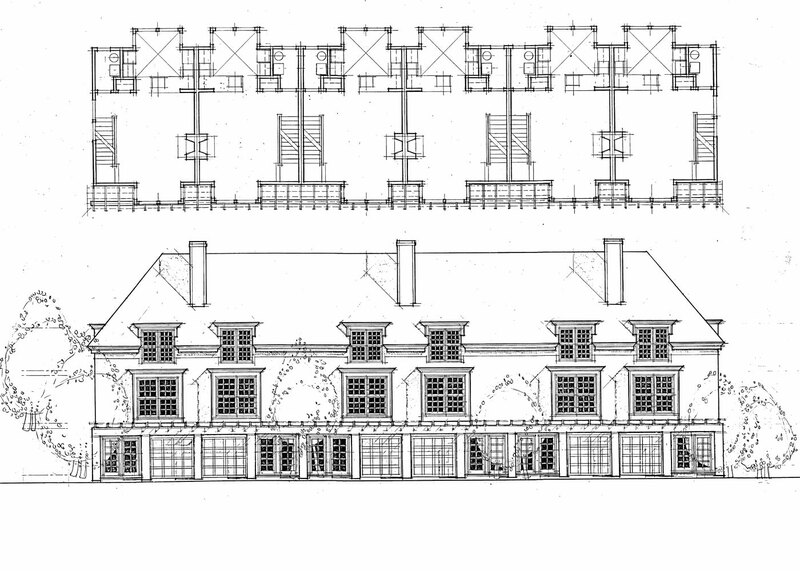 Proposal sketch for a French country house in Greenwich. 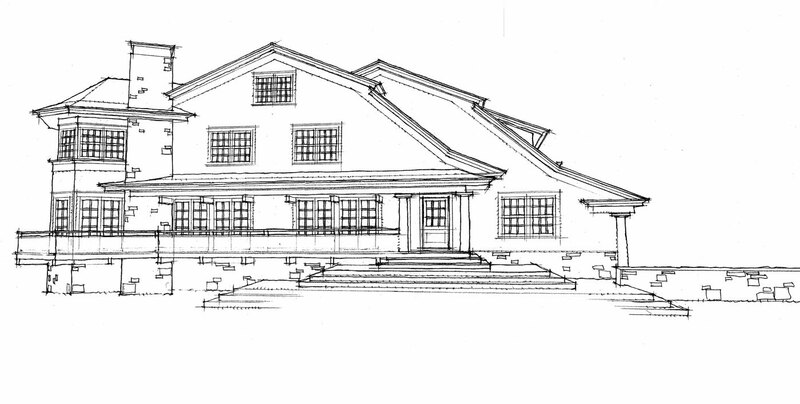 Proposal for a waterfront cottage on Fairfield Beach. 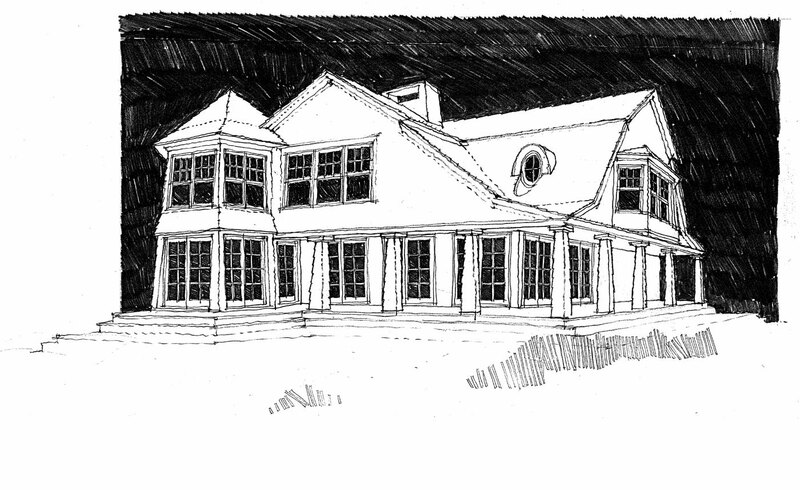 Proposal drawing for townhouses in Black Rock, CT.
Proposal for a modest in-town house (on a small lot) in Darien, CT.
Proposal sketch for a house next to Penfield Pavilion, in Fairfield (see also “models” section). 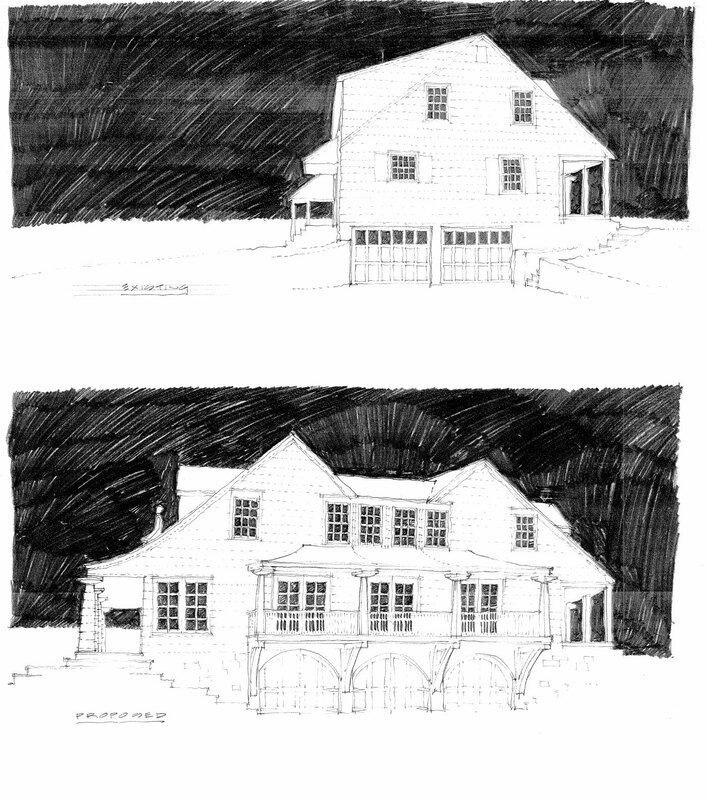 Initial proposal drawings for additions and alterations to a home on Wahackme Rd., New Canaan.